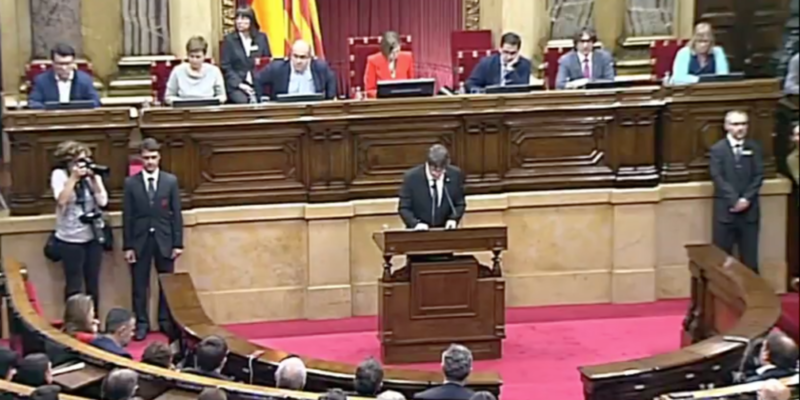 The separatist majority in the Catalan parliament on Friday voted in favor of starting a constituent process that will end in the proclamation of a republic, El Pais reports. BBC: Spanish Prime Minister Mariano Rajoy had told senators direct rule was needed to return “law, democracy and stability” to Catalonia. FRANCE24: Although the Catalan declaration was a symbolic gesture – as it will not be accepted by Spain or the international community – the moves by both sides take Spain’s worst political crisis in four decades to a new level.